Join us from 10 am to noon for a ribbon cutting ceremony on Saturday, March 23 as we open the McLaren Community Garden. We will have brief remarks, family-friendly gardening activities and a Visitacion Valley Green Nodes walking tour. Funded by the 2008 and 2012 Clean and Safe Neighborhood Parks bonds, the renovated Mclaren Community Garden includes a welcoming entrance into the garden with communal planter beds for herbs and trailing vegetables, sheltered gathering spaces for groups, and ornamental gates and fencing, while also creating a utilitarian garden designed to accommodate raised garden plots. Located just north of the community gardens, the San Francisco Public Utilities Commission has constructed new rain gardens as part of the Visitacion Valley Green Nodes Project. 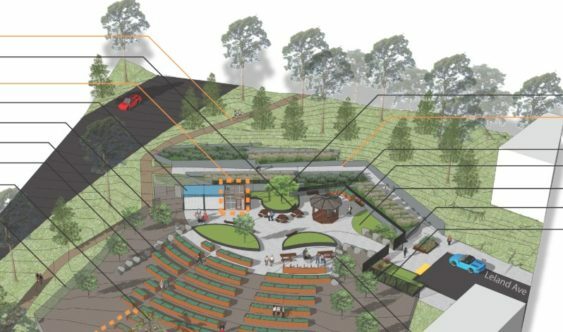 The project develops two distinct green infrastructure locations at Sunnydale Avenue and Mclaren Park that improves community spaces and accessibility while helping manage stormwater. 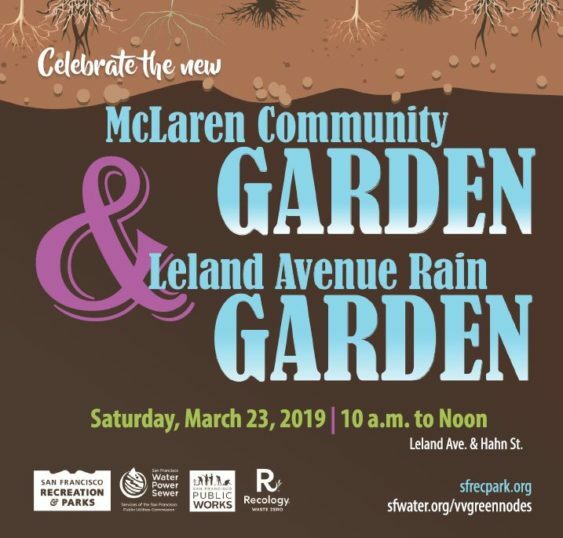 The terraced rain gardens in Mclaren Park will manage 600,000 gallons of stormwater each year from 1.5 acres of impervious surface and provide a pedestrian connection to Mclaren Park from Leland Avenue.